This antique map of Salem Village in 1692 is a reproduction print of the original map produced by W.P. Upham in 1866 and is available in different sizes with your choice of acid-free papers. 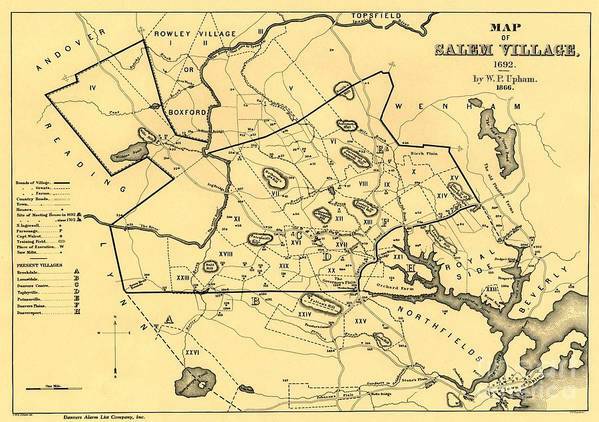 The map features the several North Shore communities that made up Salem Village, including Beverly, Topsfield, Danvers and more. This map is also available on stretched canvas as well as a framed print with 100s of frames and mats to choose from.